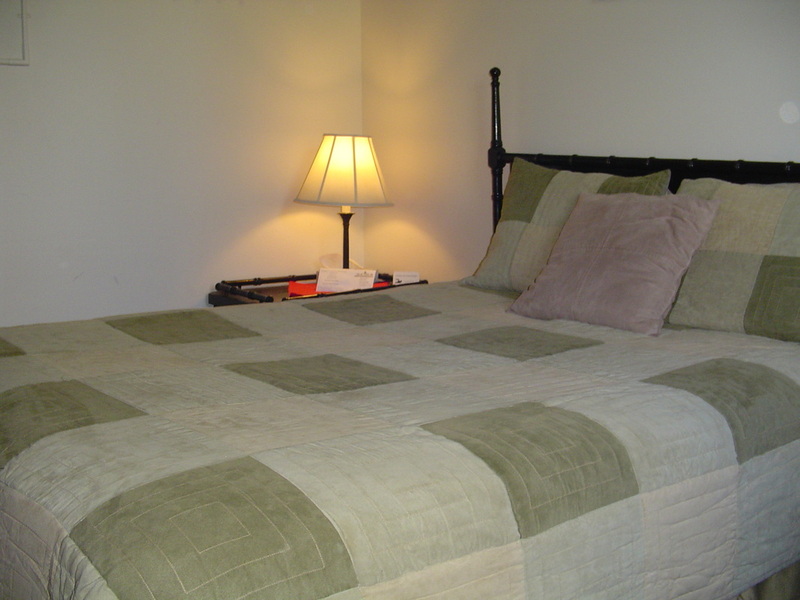 Our rates include the use of our mineral hot springs, Wi-fi and a hot buffet breakfast. Call for Rates - 800-527-5830 or 208-776-5830. 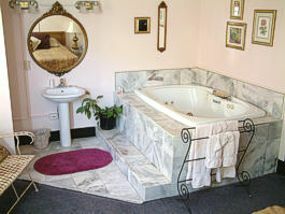 The four Jacuzzi rooms have 1 king size bed, TV/DVD, private bath, jetted tub and cozy electric fireplace. Each room sleeps 2. Basic Rooms have 1 queen size bed. 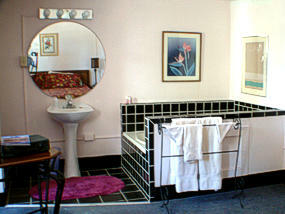 Three Basic Rooms use 2 full sized bathrooms that are across the hall. 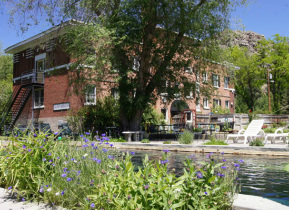 These rooms face the Portneuf River. 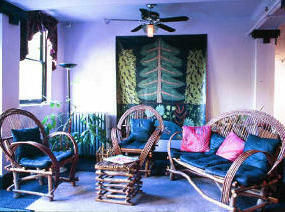 TV is available in the upstairs sitting room. Each room sleeps 2. 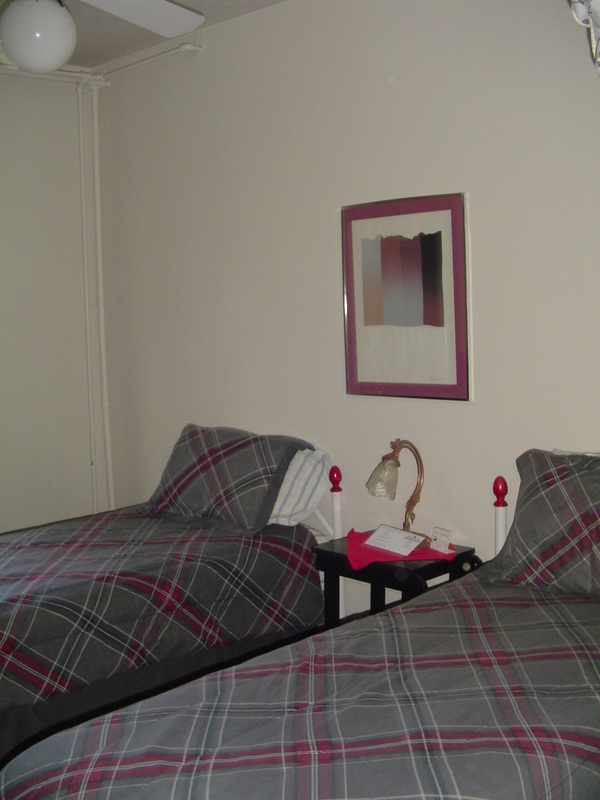 Basic Twin Room #3 has 2 twin beds. It uses 2 full sized bathrooms that are across the hall. 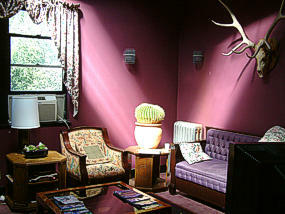 TV is available in the upstairs sitting room. It sleeps 2. 12 rooms use 8 baths; on each wing 3 basic queen rooms use 2 full sized bathrooms that are across the hall. 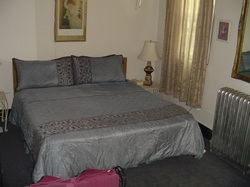 Or Book A Room Online Now!